My daughter who will be 4 in May loved this car seat. 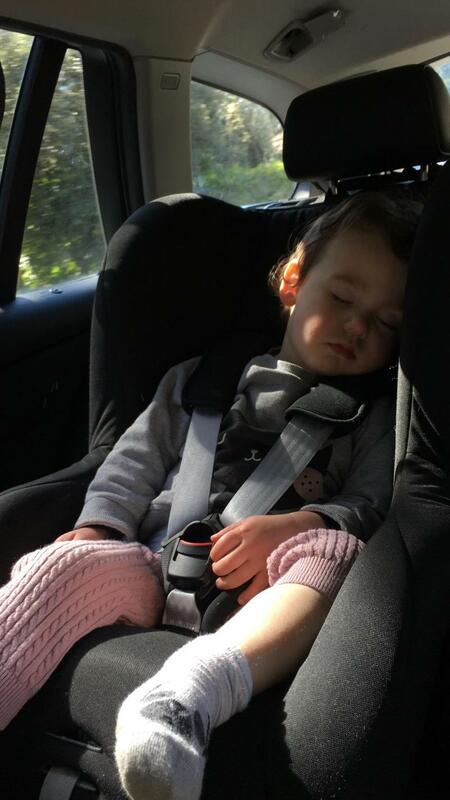 She was in the seat from 9 months up until last month and enjoyed many journeys and sleeps in this seat. The recline function came in handy when she was younger and she was able to sleep in the car with ease. The recline function however, becomes redundant as they get older as it pushes her legs too far out into the back of my seat. The seat is plush and feels safe and the only negative is that it can be quite fiddly to strap her in and then tighten the straps. I have been using this car seat for my little boy. Very easy to fit into our car. Very padded for comfort for child, after purchasing we bought a second one for grandparents car. I really loved this seat when I first got it but after time I noticed the pull strap to tighten the harness was hard to pull enough to get the straps tight! And one strap will always tighten more than the other meaning one strap is still too loose! Also the pads that go over the straps are secured on their own and one would always get stuck behind so they were uneven! If the straps work well then it’s a really nice seat! We have this chair as a spare car seat for our 3 year old. 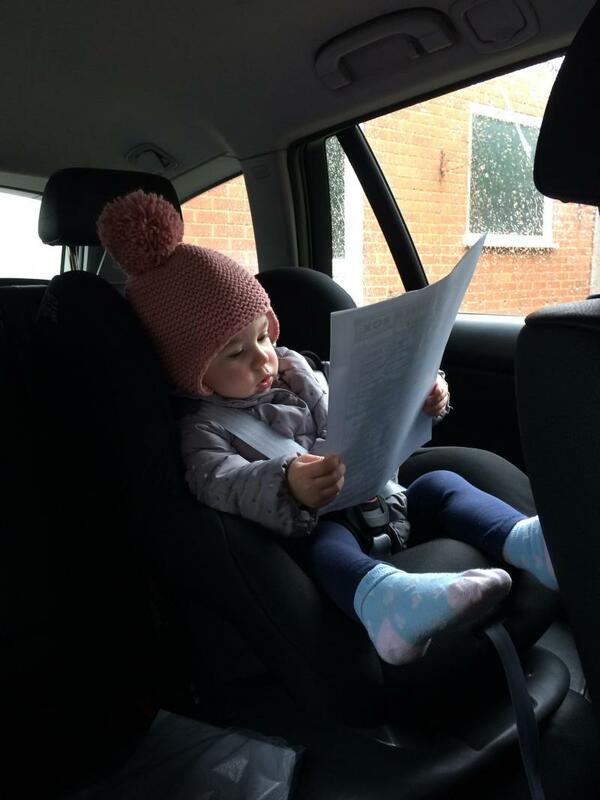 Its a lovely padded and chunky seat, our toddler is very comfortable on both short and long journeys. It's seems very sturdy when in the car and obviously fitted properly. It's high so our little 1 can look out the windows easily. Cover gets very wobbly when washed and used. We've had ours 2 years and whilst its still very useable it's looks scruffy and the cover doesn't fit properly. When transferring the seat it's very heavy, whilst this is a plus for safety it's hard to take it in n out the car on my own. Overall this is a great budget car seat offering safety and stability. Fits most cars, reclines, easy to fit. Fiddly to change the strap height. Can be hard to release the seatbelt from the clip. Bought this as a spare seat for my 18 month old son so he can go out in other peoples cars. We have found it easy to fit in each car, seatbelt directions are easy to follow. It has a good enough recline that his head doesn't fall forwards when he is asleep. However when setting it up the changing of the strap height was very fiddly. Also when removing the car seat fro a car getting the seatbelt out the red clip csn be tricky, I guess this is a good thing too as you know its in there safe!! Easy to install, suitable for different cars. No headrest and the panel that protects straps at the back of the seat comes off a lot. As I don’t own a car at the moment, I needed a car seat suitable for various different cars, a mini being one we use most. It’s simple to install in a variety of cars (mini, seat , Nissan and Vauxhall). Fits perfectly even in the mini. I feel my son is safe and secure in the seat, and because it reclines his head doesn’t flop down if he naps. The only downside was that I had to purchase the head support separately and I think they need this until they’re around 2 and at the back of the car seat there is small plastic panel to protect straps at back, this comes loose frequently. Overall a really good value for money car seat that fits in most cars with ease, easy to take apart to wash and clean without compromising on safety! I would definitely recommend. Newborn insert provides a lot of support. Good value if used from newborn to age 4. Good recline. 7 seater and doesn't fit great in the seat, when reversed, slides down the seat. Bought when youngest was only a few months as other car seat to heavy to lift in and out. Should have checked compatibility with the car as our car and 3 individual seats which must be fairly narrow as the seat when reversed seems to slide down the seat instead staying inclined as it's meant to be. The newborn insert is good, though would be good if you could removed the stuffing so as just to have the head support once baby is slightly bigger. Good value that it was last for 4 years and we did have previous models for our eldest and it did last the 4 years. I love this brand for seats . Its very durable and i feel well made . It is a bit heavy though and i dont feel as comfortable for littler ones . Works great though. A rather heavy car seat and can be difficult to strap into my car. Also the chest straps do not hold my two year old very well he can easily slip his arms out no matter how much I try to tighten them. But this seat is sturdy and comfy and has lasted us a long time! Brilliant car seat. my son and daughter find it comfy and easy to fall asleep in, their heads don’t flop forward. Getting the car seat in and out is a pain but once in it’s very secure. Have brought this for both my kids since a young age as such a good car seat. Recliner easy to use. Safety clip seats so you know when they are secured in. Good product to leave in the car. We have this car seat for my 2 year old, in a Renault Capture with a slim highback booster in the middle and a maxi cosi car seat on the other side. We selected this particular car seat purely on the fact the base is slim to fit in the back with the other 2 seats, which it does just fine. The car seat itself is heavy, and not the easiest to strap in - it's quite fiddly getting the seat belt around the back and through the right holes and then leaning over the big seat to belt it in, it's easier to have someone there to help. It's also quite heavy and bulky, so difficult to transfer from car to car. However, my daughter really likes it. It's nice that it's high so she can see out the window, she regularly points out the sheep in the field. It's also lovely that it reclines back so much. 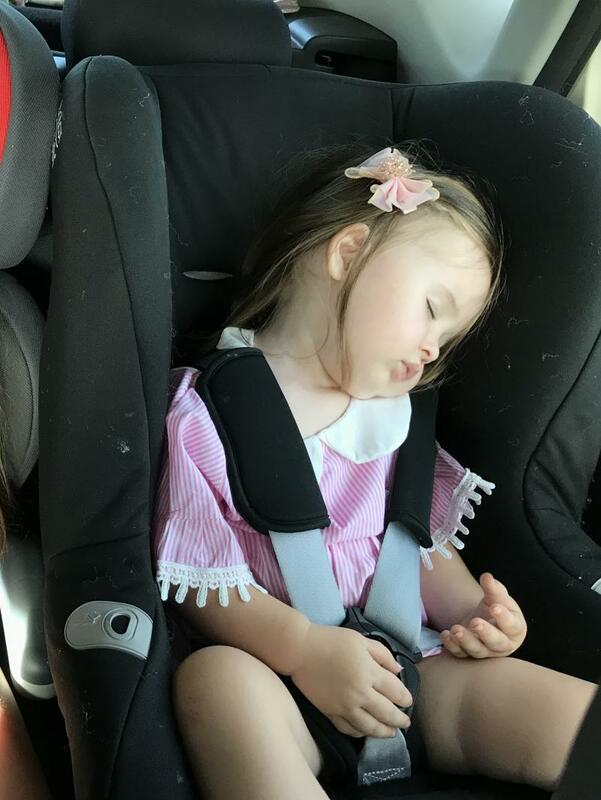 She still falls asleep in the car regularly so it's great that it's reclined so her head doesn't flop forward (although it still manages to sometimes somehow). It's pretty padded so seems nice and comfy. Because the seat itself is pretty high it isn't the easiest to get her into and out of without having to lift her out then sort of bend her to make sure she doesn't bump her head on the roof/door frame. It's also a bit high for her to climb out of herself yet. However it's a nice design and I like the fact there's lots of padding and high sides around her head for when she does fall asleep, and I feel her head would be protected if there was a side impact. The straps are relatively easy to adjust, although easier to loosen than tighten which I always feel should be the other way round. At the moment she's only 2 and does have plenty of room in the seat itself but her legs sort of lean up against the seat in front, so I'm not sure how it would last her until she's 4 (and she's petite so isn't really tall). The strap heights are adjustable though which is good as they can be moved up higher as the child grows taller. 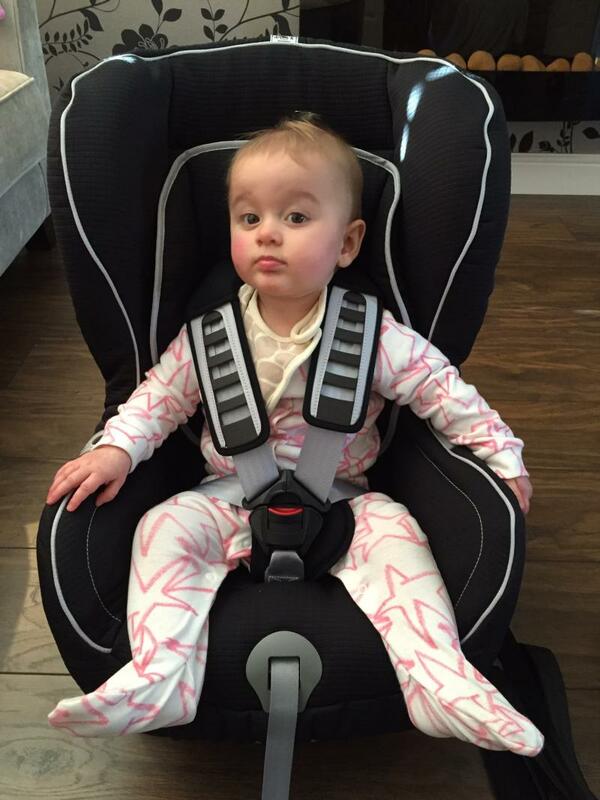 overall we do like this car seat, and will keep it for my youngest daughter. Although I will be quite pleased to pass it on once we've finished with it as it is a bit of a beast! We had a difficult decision to make when buying a 3rd car seat. We wanted all 3 children in the second row due to the boot not opening from the inside and the children not old enough to unbutton themselves in the case of an emergency. The britax eclipse gave us that opportunity. And it is the only car seat on the market(that I found) that could offer this in a car with only a lap belt. It felt sturdy and secure. My daughter hated her rear facing car seat. She would scream from point a to point b with no break. But when she was transferred into this seat it was like a dream come true. We could hear ourselves think again. She was comfortable and high up. Love This car seat. I absolutely love this car seat. I originally bought one in 2013 for my first child. 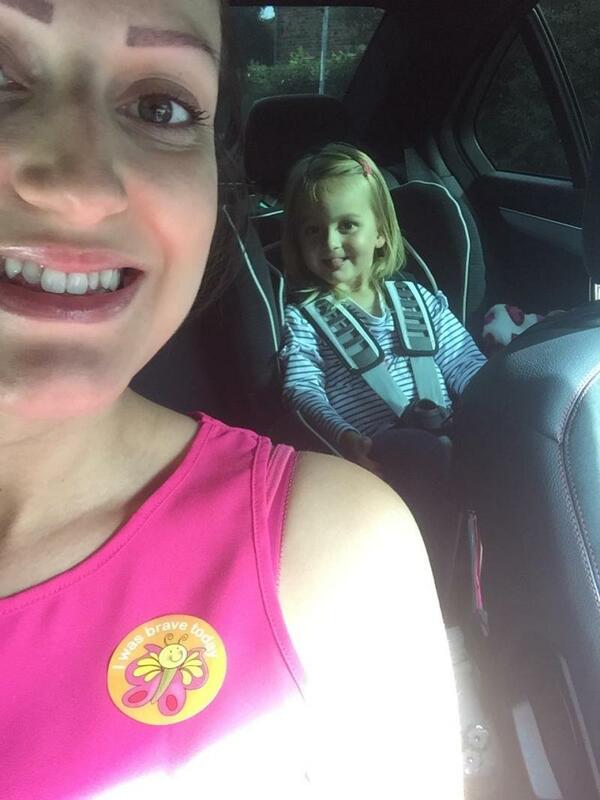 It was a bit tricky to fit in the car at first, but once in was sturdy and supportive for my little one. He seemed to love it as well, always falling asleep in it and it is easy to recline once they do fall asleep. I was so impressed with the car seat I purchased another one when it was time to for my little girl. I brought this car seat for my little one when he was 12 months old. I went into mothercare and they fitted a few car seats into my tiny fiat 500 and this one was the one that fitted best. I tried my little one in it and he seemed very comfortable and ever since he loves it. It looks great in my car and not too bulky and it’s easy to take my little one in and out and easy to tighten and loosen the straps. I have washed this once and it’s very easy to take the cover off and put back on. It was a little tricky to fit into my car the first time but now I know how to do it it’s very quick and simple. 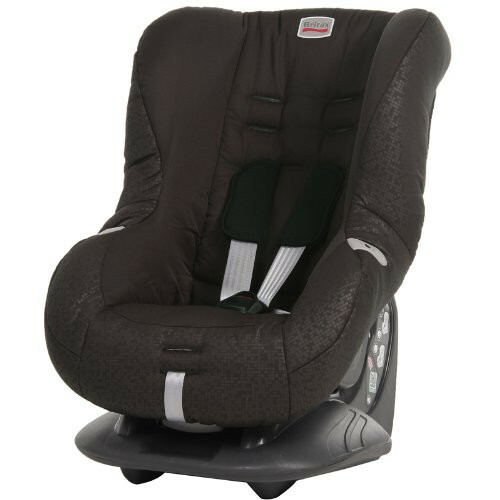 Overall I love this car seat it safe, strudy and great value for money. I can’t fault this car seat, I love everything about it and my LB loves to watch out the window. Easy to remove and re-insert compared to another brand I tried. 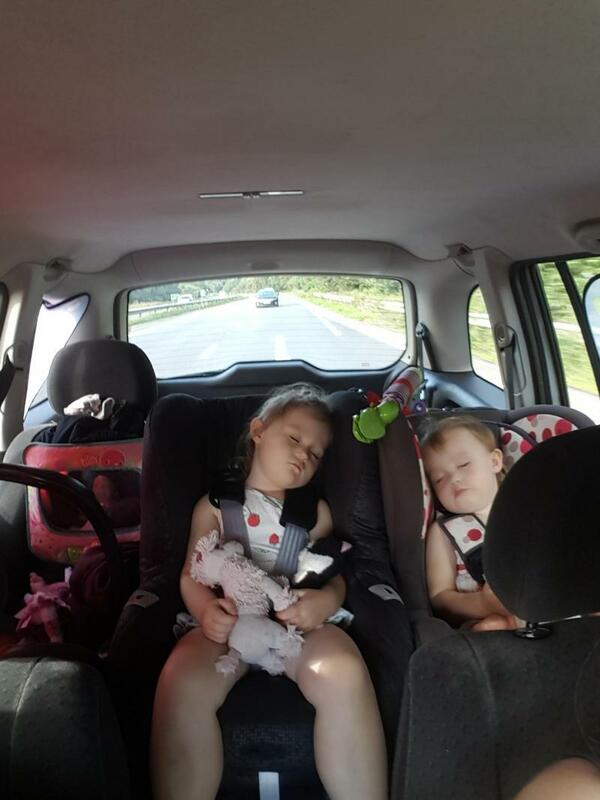 All in all I still use this car seat love the recline for when toddler falls asleep easy to use straps. It's comfortable for toddler. And feels safe. I have nothing but good things to say about this car seat. We purchased it first in 2016 for our eldest daughter and we found it so easy to fit and simple to use that we purchased another in 2017 for our youngest daughter. They both seem very comfortable and that makes us happy! I found it VERY easy to fit and I do get confused by things like this easily, usually, so knowing I could fit it was fantastic. 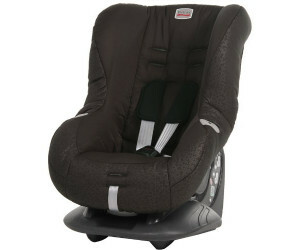 This is a great car seat as long as once it is installed you do not take it out often as it is heavy, large and bulky. I do feel more secure placing a baby in these larger ones then the small portable ones. We bought this as a cheap car seat as it is hardly ever used. My little boy loves that he can look out of the window. It is really simple to fit into the car. My little boy appears to be comfortable whilst he is in this seat. The belts can be a bit fiddly to adjust and after a few times found it easier to do this out of the car. The only thing I can fault is it is only forward facing. 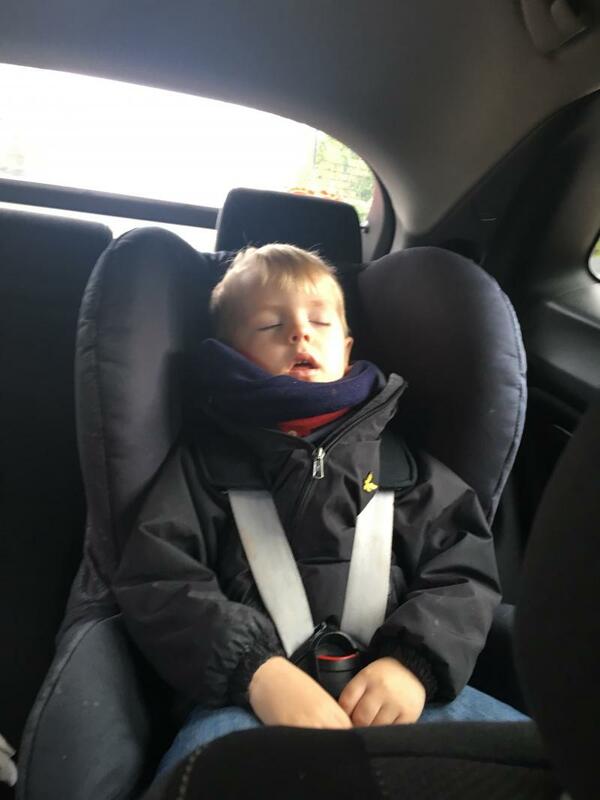 This seat is easy to strap into the car safely, sometimes the straps are hard to adjust but other than that it’s really good my kids sleep in it on long journeys and seem comfortable. Merge used this chair instead of another high cost branded swivel chair we had as this one is light to move, easy to insert and reclines easily for sleepy toddlers. We have two cars that we use and we also need to take flights during the summer so it was essential we own a chair that wasn’t cumbersome yet still extremely safe. This ticked all our boxes and my daughter is extremely happy in it. No over heating in the warm weather and easy to get her in and out. Would highly recommend! This is a good car seat for those who do not mind having their child forward facing. My boy hated being rear faced and loves getting into this seat. The straps are easily adjustable but i find they can sometimes get stuck and require a little tug. I especially love that you can recline this seat, which is perfect for car naps and preventing the head from falling forward. 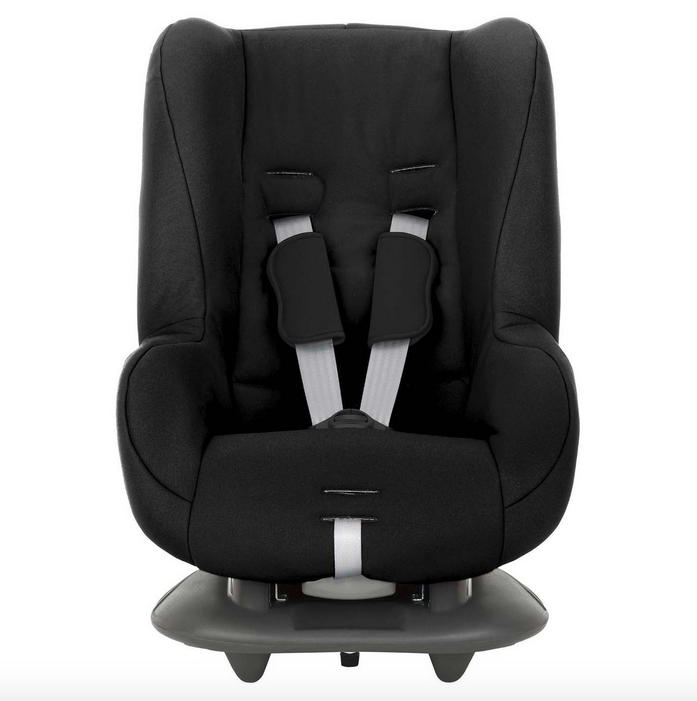 The Britax Römer Eclipse boasts side impact protection and a unique pitch control system which will reduce your child's forward movements while seated. Its slim base means the Eclipse is the ideal solution for smaller cars.